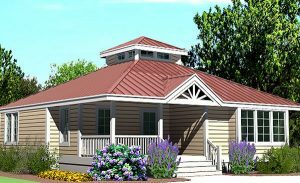 Our Small House Plans are perfect homes for young marrieds, empty nesters and retirees. They range from 1200 to 2300 square feet. 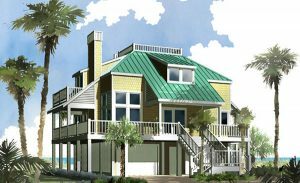 The Shelter Cottage has a large, sheltering roof and ample covered outdoor living spaces. The linear plan allows for views both front and back from most all rooms making it light and airy. 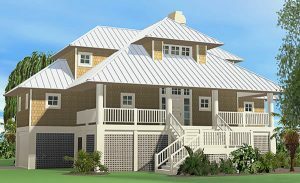 The Porches Cottage is ideal for a streetscape lot in a beach house community or anywhere large, covered porches are desirable. The “inverted living area” floor plan maximizes views. 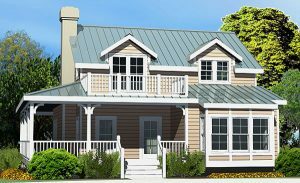 The Country Cottage has all the amenities of a larger house designed in a compact space. 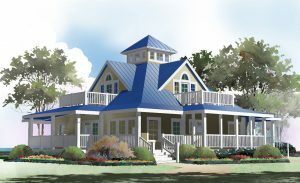 The Hip Cottage is an efficient yet spacious small cottage with many special features such as a Vaulted living/dining room with clerestory light well, large closets, and wide overhangs. 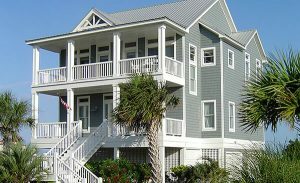 The Lookout Cottage is a magnificent tree house with roof decks, balconies and a rooftop observation platform.